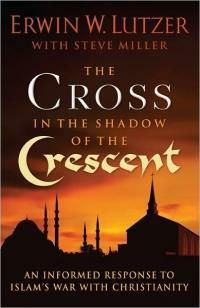 The Cross in the Shadow of the Crescent Islam is on the rise all over the West, including America. In this compelling new book, bestselling author Erwin Lutzer urges Christians to see this as both an opportunity to share the gospel and a reason for concern. We have now reached a tipping point–the spread of Islam is rapidly altering the way we live. These changes are cause for alarm, for they endanger our freedoms of speech and religion.At the same time, this opens an incredible door of ministry for Christians, for Muslims normally do not have access to the gospel in their own lands. How does Islam’s growing influence affect me personally? In what ways are our freedoms of speech and religion in danger? How can I extend Christ’s love to Muslims around me? A sensitive, responsible, and highly informative must-read! The acclaimed author of Rubicon and other superb works of popular history now produces a thrillingly panoramic (and incredibly timely) account of the rise of Islam. No less significant than the collapse of the Roman Republic or the Persian invasion of Greece, the evolution of the Arab empire is one of the supreme narratives of ancient history, a story dazzlingly rich in drama, character, and achievement. Just like the Romans, the Arabs came from nowhere to carve out a stupefyingly vast dominion—except that they achieved their conquests not over the course of centuries as the Romans did but in a matter of decades. Just like the Greeks during the Persian wars, they overcame seemingly insuperable odds to emerge triumphant against the greatest empire of the day—not by standing on the defensive, however, but by hurling themselves against all who lay in their path. To Watch the Movie Trailer and Also to Order the Movie CLICK HERE or on the DVD Cover. The Qur’an is the very foundation of Islam. It is the source of all laws and practices, religious or otherwise, in Islamic countries and societies. The Qur’an itself is divided into 114 chapters, or suras, of different lengths. 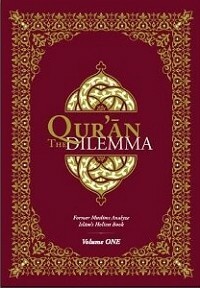 This first volume of the The Qur’an Dilemma investigates the first nine of these suras. Each sura contains the text of the Qur’an complemented with these well-annotated elements: * Introduction, outlining the major subjects * Critical analysis of key verses, focusing on their historical accounts, scientific information, logic, and literary structure. CHRISLAM This anthology of twenty-five essays approaches the various questions of the “insider movements” that are being raised within the mission community. 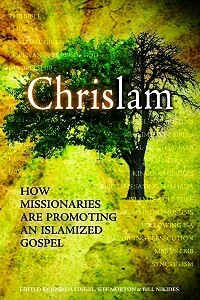 Offering not only a critique of the problematic issues of IM and it’s proponents, Chrislam also provides a necessary corrective in the areas of theology, exegesis, translation, missiology and a theology of religions. The authors include converts from Islam, practicing missionaries, pastors, missiologists, Bible translators, professors of Islamic studies, biblical studies, and systematic theology. This multi-faceted approach to a serious problem in missions is a much needed manual for the church as she thinks through the ramifications of supporting “insiders” and the proponents of IM. AMERICAN JIHAD – Who are these people? Where did they come from? And how could there be so many terrorists or suspected terrorists living among us without action being taken? 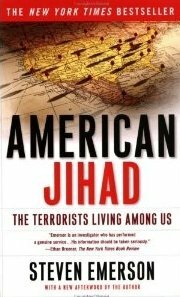 In American Jihad, Steven Emerson, the world’s leading authority on domestic Islamic terrorist networks, tells the full story of the rise of those who wish to destroy the United States from within. From the 1993 bombing of the World Trade Center, to foiled attacks on the New York City subway system, to a stunning range of murders across the country, there were numerous warning signs that the “American Jihad” had been gaining momentum. With an up-to-the-minute afterword that explains the stops and starts of the post-9/11 investigation, American Jihad reveals the full story that only Emerson knows — and the reasons America failed to stop the most devastating attack in history on our own soil. This is a frightening and crucial book for anyone who needs to understand the threat within our borders. 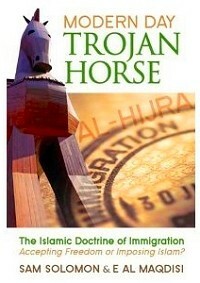 MODERN DAY TROJAN HORSE – The first fundamental principle for the creation of a successfully visible Islamic society is to be separate and distinct… “Sam Solomon and E Al Maqdisi have provided the general Western public a valuable service in publishing this book.” Rev Dr Patrick Sookhdeo Director of the Institute for the Study of Islam and Christianity “If only one piece of information pertaining to Muslims and Islam is ever read, it would be this book on Al-Hijra.” N Keas Phd Lecturer and Communication Consultant “I hope that every person in the Western world reads it, including the sleeping political elite. 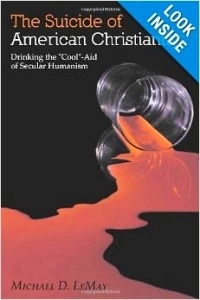 This book should bring about a much needed awakening.” Geert Wilders MP Chairman Party for Freedom (PVV) Sam Solomon, a convert to Christianity and an expert on Islam, is a senior lecturer and research coordinator, a human rights activist and an advisor to British as well as European parliamentarians. Sam has authored a number of thought-provoking books and numerous articles on Christian Muslim relations. E Al Maqdisi is a prolific writer and debater, an author of some 15 books, and a regular contributor to many Internet sites on this complex subject of Islam and its teachings. 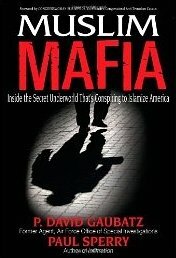 Muslim Mafia: Inside the Secret Underworld that’s Conspiring to Islamize America – You’ve heard about the courageous young investigators who covertly videotaped officials of ACORN advocating illegal activities. 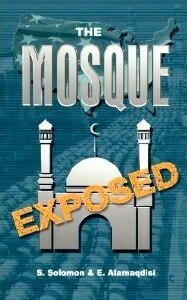 Now, get ready for an undercover expose even more daring: a six-month penetration of the Washington-based Council on American-Islamic Relations that resulted in the collection of thousands of pages of smoking-gun documents from this terror-supporting front group for the dangerous, mob-like Muslim Brotherhood. This is what Muslim Mafia delivers. It has all the elements of a top-flight mystery novel, but the situations and conversations are real. The book’s frightening allegations are supported by more than 12,000 pages of confidential CAIR documents and hundreds of hours of video captured in an unprecedented undercover operation. This trail of information reveals the seditious and well-funded efforts of the Brotherhood under the nonprofit guise of CAIR to support the international jihad against the U.S. Follow intern Chris Gaubatz as he courageously gains the trust of CAIR’s inner sanctum, working undercover as a devoted convert to Islam, and blows the whistle on the entire factory fueling the wave of homegrown terrorism now plaguing America. 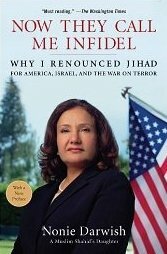 Now They Call Me Infidel: Why I Renounced Jihad for America, Israel, and the War on Terror – A political and personal odyssey from hatred to love – When Nonie Darwish was a girl of eight, her father died while leading covert attacks on Israel. A high-ranking Egyptian military officer stationed with his family in Gaza, he was considered a “shahid,” a martyr for jihad. Yet at an early age, Darwish developed a skeptical eye about her own Muslim culture and upbringing. Why the love of violence and hatred of Jews and Christians? Why the tolerance of glaring social injustices? Why blame America and Israel for everything? Today Darwish thrives as an American citizen, a Christian, a conservative Republican, and an advocate for Israel. To many, she is now an infidel. But she is risking her comfort and her safety to reveal the many politically incorrect truths about Muslim culture that she knows firsthand. 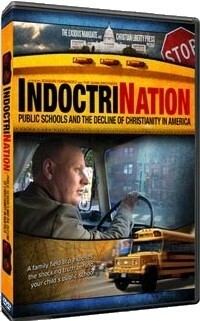 This book is required reading for everyone in the free world! 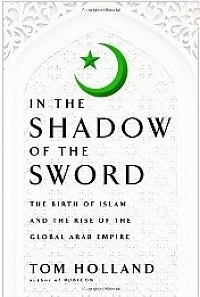 This book shows why Islamic Reform is urgently needed. The Koran, Hadith and Sira form the foundationm of Islam today, and are taught in mosques all over the world. They teach Jihad (Holy War Against Non-Muslims) and Sharia (Islamc Law, which mandates the subjugation, oppression and exploitation of non-Muslims). The Mathnawi, the magnum opus of the Islamic mystic Rumi , teaches a tolerant and spiritual message. The Mathnawi should be taught in mosques all over the world, instead of the Koran, Hadith and Sira. This will usher in the long overdue Islamic reformation. 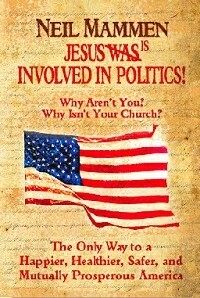 Neil Mammen- JESUS IS INVOLVED IN POLITICS – Over 30M+ Evangelicals and Conservative Catholics DON’T VOTE! Get 1/3 of them out to the polls – and we win every election; without having to argue with a single independent or non-Christian. This site and book are aimed at helping Christians start small groups and give Biblical and Historical reasons to convince their Pastors, Elder Boards and fellow Christians, why Christians and the Church critically need to be involved in Politics.